Plastic Thermoforming | Drader Manufacturing Industries, Ltd. Custom-made thermoforming machines are highly adaptable to nearly any application and all of our mold making and product development is in-house at Drader. 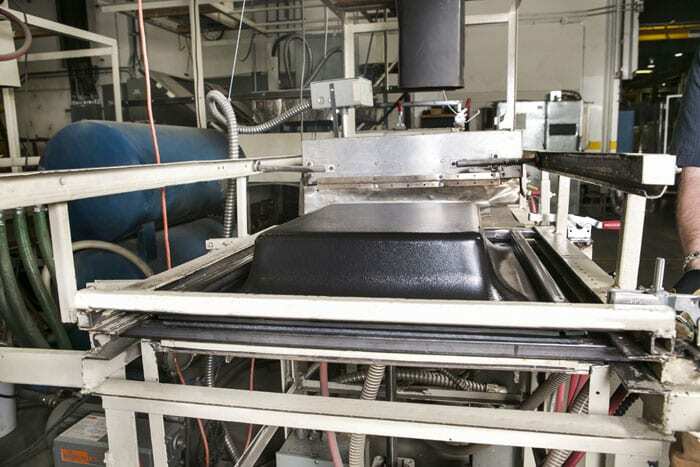 Thermoforming uses intense heat to form plastic sheets into a specific shape in a mold. It’s commonly used for prototype parts and for high-volume production as well. Examples of applications include disposable cups, containers, lids, trays, blisters, clamshells, packaging for the food, medical, and general retail industries. Thermoforming is a cost-effective way to produce prototype parts, disposable cups, containers, lids, any type of tray, kiosks, automated teller machines, enclosures for medical equipment, engine covers, railcar interior trim, seat components, clamshells, packaging for the food, medical and general retail industries.